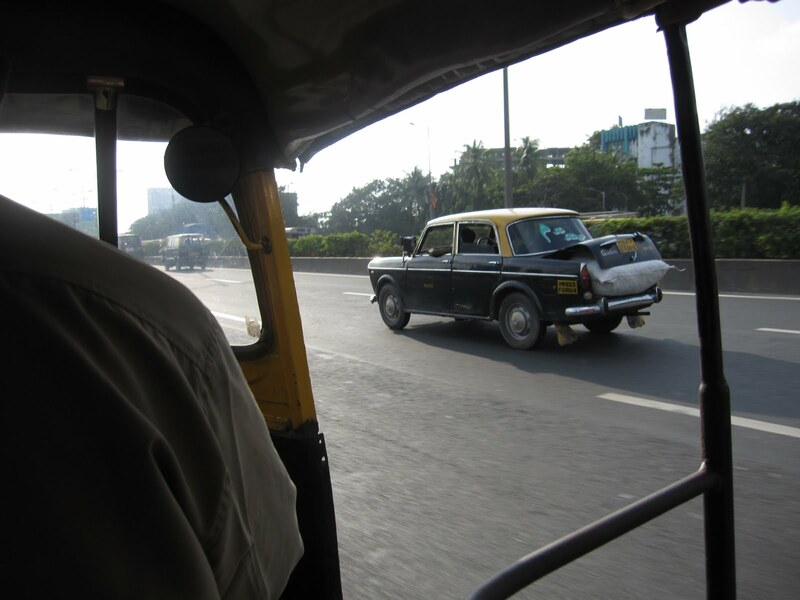 Last week I made a dash to Mumbai to interview the technical head of India’s largest circulated newspaper and the world’s largest circulated English broadsheet daily. I traveled by the Indigo flight, which was fairly comfortable. But they were hawking snacks and juice on board at atrocious prices. Imagine paying Rs 50 for a small tetra pack juice, and Rs 150 for a double-layer sandwich! I noticed the person seated next to me buying a small packet of cashew nuts; he must have regretted having paid Rs 50 for it because there were hardly any cashews inside. Nowadays, as soon as the flight takes off, the air hostesses and the announcer launch themselves on a PR spiel. The height this time was when the stewardess announced proudly: “Being on time is a wonderful thing and we at Indigo are committed to it.” The flight was actually flying late – the ATC (air traffic control) had cancelled the flight’s scheduled time of departure because people had checked in late (trust us Indians). On the onward journey, it was a pleasant surprise though, with the flight actually landing a few minutes ahead of schedule. Despite repeated instructions, we really know how to make a fool of ourselves, don’t we? When the seat belts had to be fastened, a passenger got up hastily and opened the overhead shelf. The air hostess came bounding in and tried to get him back to his seat but he wouldn’t listen. Reason: his wallet was in the bag overhead. Another passenger was happily playing games on his mobile phone, or was he trying to text, I had no idea. I find it sickening when people can’t stop fidgeting with mobile phones even for a second. Both in Mumbai and in Chennai, even as the aircraft landed, people were calling out to their dear ones (I suppose) saying they were still the in the aircraft etc. Now, are such calls really necessary when the seat-belt-fasten sign is still on and the plane is taxiing on the runway? 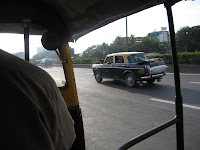 Well, one of the things I like about Mumbai is the presence of the good old Fiat cars on the roads. Many of the taxis are Fiats and they still do a wonderful job, ferrying people. 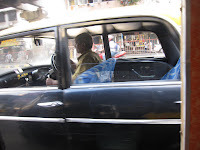 I took a prepaid taxi to the newspaper plant and the young driver – he must have been hardly 20 – not only knew exactly where the place was, he took me right up to the security gate and asked me whether he could carry on. He was not expecting a tip, just courtesy to an outsider. No haggling, no arguing, no reckless driving. Later, another driver took me to a restaurant when I told him I was hungry and had not eaten. This after he had dropped me where I had to get off; he didn't charge me a penny extra for driving me down almost another kilometre. 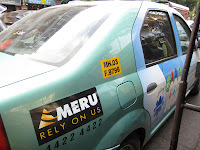 Wish we had more of such drivers in Chennai. But the sad part is we don’t. Indeed, no sooner did I arrive in Chennai than I bumped into my neighbour. 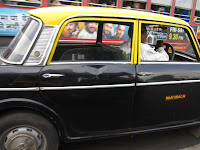 He had come on the same flight and we decided to hire a cab and leave together. Outside, chaos reigned and a couple of cab drivers refused to come where we had to go. My neighbour, who has had a bypass, lost his cool and let go. 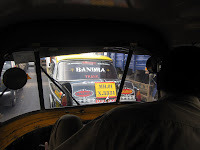 He told a small gathering of drivers that it was because of them and the auto drivers that the city was being put to shame. Surprisingly, nobody uttered a word, they listened in silence. 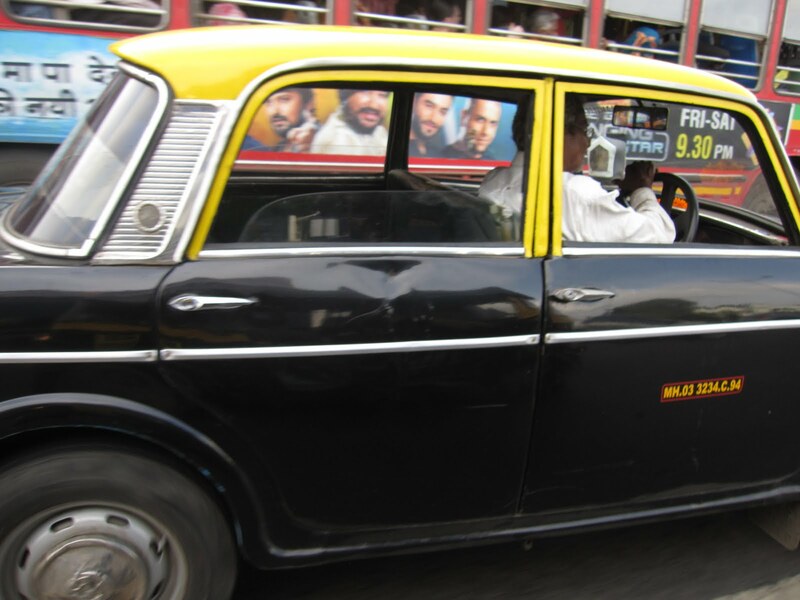 Just then, one of them came forward and offered to drop us – all this after we had paid the fare indoors.